From the stone cities of the Maya to the might of the Aztecs, from its conquest by Spain to its rise as a modern nation, Mexico boasts a rich history and cultural heritage spanning more than 10,000 years. This detailed timeline of Mexican history explores such themes as the early civilizations that left their mark on the region’s landscape and society, the 300-year period of colonial rule, the struggle for independence in the early 1800s and the country’s rebuilding in the 20th century. 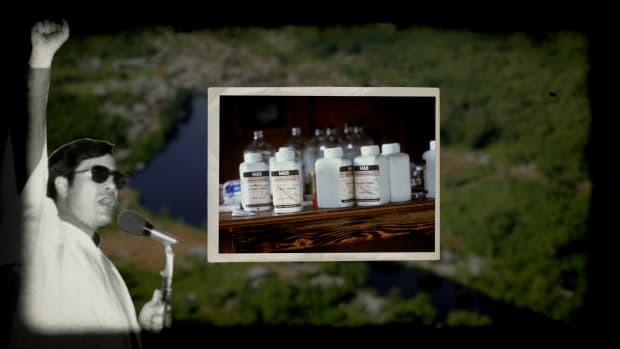 The first human experiments with plant cultivation begin in the New World during the early post-Pleistocene period. Squash is one of the earliest crops. This agricultural development process, which continues slowly over thousands of years, will form the basis of the first villages of Mesoamerica (including Mexico and Central America). The first major Mesoamerican civilization–the Olmecs–grows out of the early villages, beginning in the southern region of what is now Mexico. This period is marked by the effective cultivation of crops such as corn (maize), beans, chile peppers and cotton; the emergence of pottery, fine art and graphic symbols used to record Olmec history, society and culture; and the establishment of larger cities such as San Lorenzo (about 1200-900 B.C.) and La Venta (about 900-400 B.C.). In the late Formative (or Pre-Classic) period, Olmec hegemony gives way to a number of other regional groups, including the Maya, Zapotec, Totonac, and Teotihuacán civilizations, all of which share a common Olmec heritage. The Mayan civilization, centered in the Yucatán peninsula, becomes one of the most dominant of the area’s regional groups, reaching its peak around the sixth century A.D., during the Classic period of Mesoamerican history. 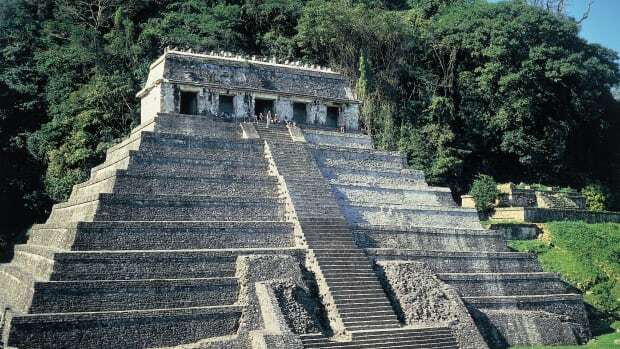 The Mayas excelled at pottery, hieroglyph writing, calendar-making and mathematics, and left an astonishing amount of great architecture; the ruins can still be seen today. By 600 A.D., the Mayan alliance with the Teotihuacán, a commercially advanced society in north-central Mexico, had spread its influence over much of Mesoamerica. With Teotihuacán and Mayan dominance beginning to wane, a number of upstart states begin to compete for power. The warlike Toltec, who migrated from north of Teotihuacán, become the most successful, establishing their empire in the central valley of Mexico by the 10th century. 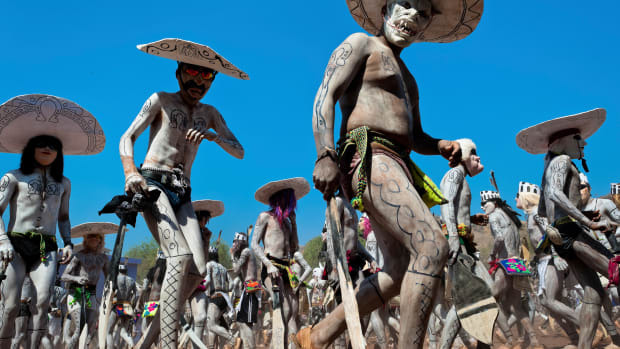 The rise of the Toltecs, who used their powerful armies to subjugate neighboring societies, is said to have marked the beginning of militarism in Mesoamerican society. 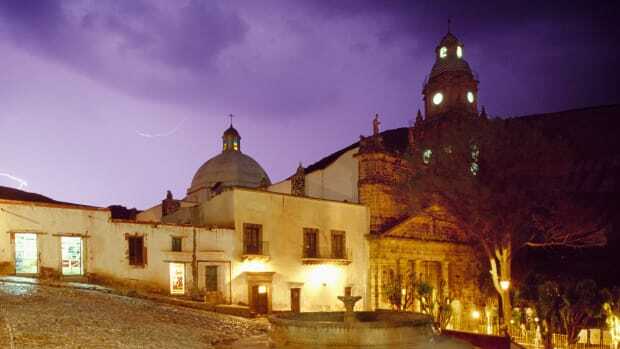 The early Post-Classic period begins with the dominant Toltecs headquartered in their capital of Tula (also known as Tollan). Over the next 300 years, internal conflict combined with the influx of new invaders from the north weaken Toltec civilization, until by 1200 (the late Post-Classic period) the Toltecs are vanquished by the Chichimecha, a collection of rugged tribes of undetermined origin (probably near Mexico’s northern frontier) who claim the great Toltec cities as their own. The nomadic Chichimecha tribe of the Mexica, more commonly known as the Aztecs, arrive in Mexico’s central valley, then called the Valley of Anahuac, after a long migration from their northern homeland. Following the prophecy of one of their gods, Huitzilopochtli, they found a settlement, Tenochtitlán, on the marshy land near Lake Texcoco. By the early 15th century, the Aztecs and their first emperor, Itzcoatl, form a three-way alliance with the city-states of Texcoco and Tlatelóco (now Tacuba) and establish joint control over the region. The mighty Aztecs conquer their chief rivals in the city of Azcapotzalco and emerge as the dominant force in central Mexico. They develop an intricate social, political, religious and commercial organization, with an economy driven by bustling markets such as Tenochtitlán’s Tlatelolco, visited by some 50,000 people on major market days. Early forms of currency include cacao beans and lengths of woven cloth. The Aztec civilization is also highly developed socially, intellectually and artistically. Their language, Nahuatl, is the dominant language in central Mexico by mid-1350s, although numerous other languages are spoken. Distinctive examples of the Aztec artistic style include exquisitely feathered tapestries, headdresses and other attire; finely worked ceramics; gold, silver and copperware; and precious stones, particularly jade and turquoise. 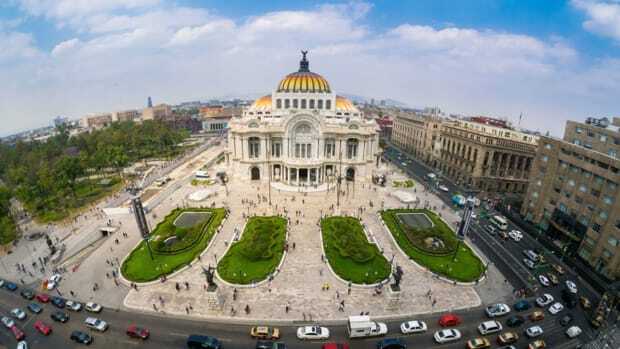 In the great cities of the Aztec empire, magnificent temples and palaces and imposing stone statues decorating most street corners, plazas and landmarks all embody the civilization’s unfailing devotion to its many gods. Francisco Hernández de Córdoba, the first European to visit Mexican territory, arrives in the Yucatán from Cuba with three ships and about 100 men. Members of the local native population clash with the Spanish explorers, killing some 50 of them and capturing several more. Córdoba’s reports on his return to Cuba prompt the Spanish governor there, Diego Velásquez, to send a larger force back to Mexico, under the command of Hernán Cortés. Like most of the first European visitors to the New World, Cortés is driven by the desire to find a route to Asia and its immense riches in spices and other resources. Cortés sets sail from Cuba with 11 ships, more than 450 soldiers and a large number of supplies, including 16 horses. 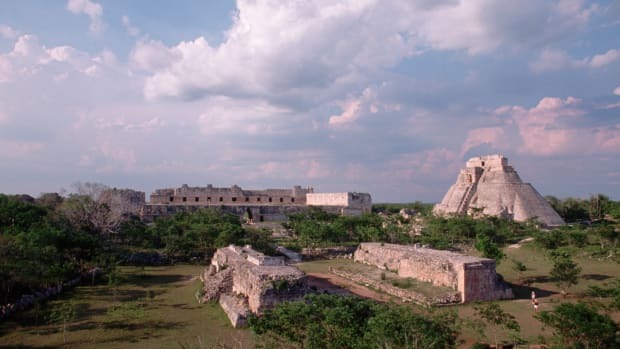 Upon arriving in Yucatán, the Spaniards take control of the town of Tabasco, where they begin learning of the great Aztec civilization, now ruled by Moctezuma II. Defying the authority of Velasquéz, Cortés founds the city of Veracruz, on the Gulf of Mexico directly east of Mexico City. With an entourage of 400 (including several captive members of the native population, notably a woman known as Malinche, who serves as a translator and becomes Cortés’s mistress) Cortés begins his famous march inward into Mexico, using the strength of his forces to form an important alliance with the Tlascalans, enemies of the Aztecs. Cortés and his men arrive in Tenochtitlán; they are welcomed as honored guests by Moctezuma and his people due to the Spaniard’s resemblance to Quetzalcoatl, a legendary light-skinned god-king whose return was prophesied in Aztec legend. Taking Moctezuma hostage, Cortés is able to gain control of Tenochtitlán. After a bloody series of conflicts–involving the Aztecs, the Tlascalans and other native allies of the Spaniards, and a Spanish force sent by Velásquez to contain Cortés–Cortés finally defeats the forces of Montezuma’s nephew, Cuauhtémoc (who became emperor after his uncle was killed in 1520) to complete his conquest of Tenochtitlán. His victory marks the fall of the once-mighty Aztec empire. Cortés razes the Aztec capital and builds Mexico City on its ruins; it quickly becomes the premier European center in the New World. Napoleon Bonaparte occupies Spain, deposes the monarchy, and installs his brother, Joseph, as head of state. The ensuing Peninsular War between Spain (backed by Britain) and France will lead almost directly to the Mexican war for independence, as the colonial government in New Spain falls into disarray and its opponents begin to gain momentum. In the midst of factional struggles within the colonial government, Father Manuel Hidalgo, a priest in the small village of Dolores, issues his famous call for Mexican independence. El grito de Dolores set off a flurry of revolutionary action by thousands of natives and mestizos, who banded together to capture Guanajuato and other major cities west of Mexico City. Despite its initial success, the Hidalgo rebellion loses steam and is defeated quickly, and the priest is captured and killed at Chihuahua in 1811. His name lives on in the Mexican state of Hidalgo, however, and September 16, 1810, is still celebrated as Mexico’s Independence Day. Another priest, Jose Morelos, succeeds Hidalgo as leader of Mexico’s independence movement and proclaims a Mexican republic. He is defeated by the royalist forces of the mestizo general Agustín de Iturbide, and the revolutionary banner passes to Vicente Guerrero. 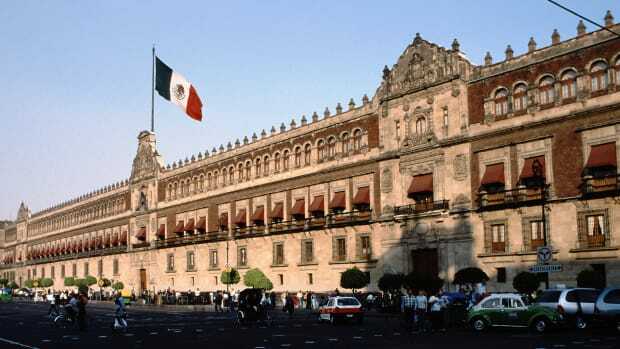 After revolt in Spain ushers in a new era of liberal reforms there, conservative Mexican leaders begin plans to end the viceregal system and separate their country from the mother land on their own terms. On their behalf, Iturbide meets with Guerrero and issues the Plan of Iguala, by which Mexico would become an independent country ruled as a limited monarchy, with the Roman Catholic Church as the official state church and equal rights and upper-class status for the Spanish and mestizo populations, as opposed to the majority of the population, which was of Native American or African descent, or mulato (mixed). In August 1821, the last Spanish viceroy is forced to sign the Treaty of Córdoba, marking the official beginning of Mexican independence. Iturbide, who earlier declared himself emperor of the new Mexican state, is deposed by his former aide, General Antonio López de Santa Anna, who declares a Mexican republic. Guadalupe Victoria becomes Mexico’s first elected president, and during his tenure Iturbide is executed, and a bitter struggle begins between Centralist, or conservative, and Federalist, or liberal, elements of the Mexican government that will continue for the next several decades. Santa Anna himself becomes president after leading the successful resistance against Spain’s attempt to recapture Mexico in 1829. His strong Centralist policies encourage the increasing ire of residents of Texas, then still part of Mexico, who declare their independence in 1836. After attempting to quell the rebellion in Texas, Santa Anna’s forces are decisively defeated by those of rebel leader Sam Houston at the Battle of San Jacinto in April 1836. Humbled, he is forced to resign power by 1844. As a result of the continuing dispute over Texas, frictions between the U.S. and Mexican residents of the region, and a desire to acquire land in New Mexico and California, the U.S. declares war on Mexico. The U.S. quickly smother their enemy with superior force, launching an invasion of northern Mexico led by General Zachary Taylor while simultaneously invading New Mexico and California and blockading both of Mexico’s coasts. Despite a series of U.S. victories (including a hard-won victory over Santa Anna’s men at Buena Vista in February 1847) and the success of the blockade, Mexico refuses to admit defeat, and in the spring of 1847 the U.S. sends forces under General Winfield Scott to capture Mexico City. Scott’s men accomplish this on September 14, and a formal peace is reached in the Treaty of Guadalupe Hidalgo, signed on February 2, 1848. By its terms, the Rio Grande becomes the southern boundary of Texas, and California and New Mexico are ceded to the U.S. 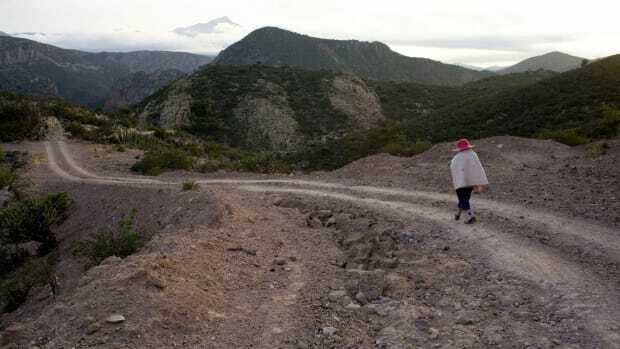 The U.S. agrees to pay $15 million as compensation for the seized land, which amounts to half of Mexico’s territory. Defeat in the war against the United States serves as a catalyst for a new era of reform in Mexico. Regional resistance to the strict centralized regime of the aging Santa Anna leads to guerrilla warfare and eventually to the general’s forced exile and the rise to power of rebel leader Juan Álvarez. He and his liberal cabinet, including Benito Júarez, institute a series of reforms, culminating in 1857 in the form of a new constitution establishing a federal as opposed to centralized form of government and guaranteeing freedom of speech and universal male suffrage, among other civil liberties. Other reforms focus on curtailing the power and wealth of the Catholic Church. Conservative groups bitterly oppose the new constitution, and in 1858 a three-year-long civil war begins that will devastate an already weakened Mexico. Benito Júarez, a Zapotec Indian, emerges from the War of the Reform as the champion of the victorious liberals. One of Júarez’s first acts as president is to suspend payment on all of Mexico’s debts to foreign governments. In an operation spearheaded by France’s Napoleon III, France, Great Britain and Spain intervene to protect their investments in Mexico, occupying Veracruz. The British and Spanish soon withdraw, but Napoleon III sends his troops to occupy Mexico City, forcing Júarez and his government to flee in June 1863. Napoleon III installs Maximilian, archduke of Austria, on the throne of a Mexican Empire. Under pressure from the United States, which has continued to recognize Júarez as the legitimate leader of Mexico, France withdraws its troops from Mexico. After Mexican troops under General Porfirio Díaz occupy Mexico City, Maximilian is forced to surrender and is executed after a court-martial. Reinstated as president, Júarez immediately causes controversy by proposing further changes to the constitution that would strengthen executive power. In the 1871 elections, he narrowly wins reelection over a slate of candidates including Porfirio Díaz, who leads an unsuccessful revolt in protest. Júarez dies of a heart attack in 1872. After another revolt–this time successful–against Júarez’s successor Sebastián Lerdo de Tejada, Porfirio Díaz takes control of Mexico. Except for one four-year stretch from 1880 to 1884, Díaz will rule essentially as a dictator until 1911. During this period, Mexico undergoes tremendous commercial and economic development, based largely on Díaz’s encouragement of foreign investment in the country. By 1910, most of the largest businesses in Mexico are owned by foreign nationals, mostly American or British. 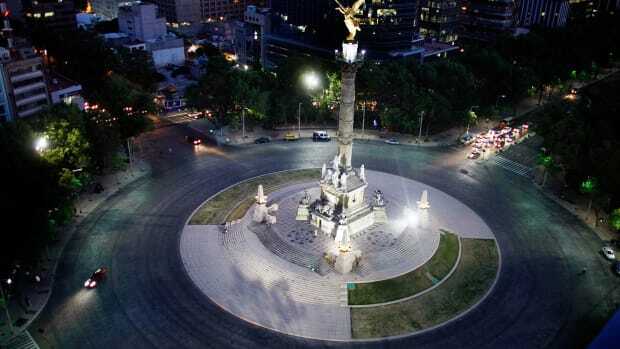 The modernizing reforms made by the Díaz government turn Mexico City into a bustling metropolis, but they largely benefit the country’s upper classes, not its poor majority. The fundamental inequality of Mexico’s political and economic system breeds growing discontent, which will lead to revolution. Francisco Madero, a landowning lawyer and a member of Mexico’s liberal, educated class, unsuccessfully opposes Díaz in the year’s presidential elections. He also publishes a book calling for free and democratic elections and an end to the Díaz regime. Although fully 90 percent of the Mexican population at the time is illiterate, Madero’s message spreads throughout the country, sparking increasing calls for change, and Madero himself becomes the acknowledged leader of a popular revolution. The Mexican Revolution begins when Madero issues the Plan of San Luis Potosí, promising democracy, federalism, agrarian reform and worker’s rights and declaring war on the Díaz regime. By 1911, Díaz is forced to step aside and Madero is elected president, but conflict and violence continue for the better part of the next decade. Popular leaders like Emiliano Zapata in southern Mexico and Pancho Villa in the north emerge as the champions of the peasant and working class, refusing to submit to presidential authority. In the wake of a series of bloody riots in the streets of Mexico City in February 1913, Madero is overthrown by a coup led by his own military chief, General Victoriano Huerta. Huerta declares himself dictator and has Madero murdered, but opposition from the supporters of Villa, Zapata and the former Díaz ally (but political moderate) Venustiano Carranza drive Huerta to resign by 1914. Carranza takes power, and Zapata and Villa continue waging war against him. Various invasions by the United States–nervous about their unruly neighbor–further complicates matters, as Carranza struggles to hold power. Government forces led by General Álvaro Obregón finally defeat Villa’s northern guerrilla forces, leaving the rebel leader wounded but alive. Mexico remains neutral throughout World War I, despite efforts by Germany to enlist the country as an ally. Despite the warring factions in Mexico, Carranza is able to oversee the creation of a new liberal Mexican constitution in 1917. In his efforts to maintain power, however, Carranza grows increasingly reactionary, ordering the ambush and murder of Zapata in 1919. Some of Zapata’s followers refuse to believe their hero is dead, and his legend lives on to inspire many generations of social reformers. The following year, Obregón is overthrown and killed by a group of his more radical generals. They are led by Obregón, who is elected president and faces the task of reforming Mexico after ten years of devastating revolution. By this time, nearly 900,000 Mexicans have emigrated to the United States since 1910, both to escape the violence and to find greater opportunities for work. After three years, the U.S. recognizes the Obregón government, only after the Mexican leader promises not to seize the holdings of American oil companies in Mexico. In domestic affairs, Obregón puts into place a serious of agrarian reforms, and gave official sanction to organizations of peasants and laborers. He also institutes a sweeping educational reform led by Jose Vasconcelos, enabling the Mexican cultural revolution that begins during this period–including astonishing work by such artists as Diego Rivera and Frida Kahlo, the photographer Tina Modotti, the composer Carlos Chávez and the writers Martín Luis Guzmán and Juan Rulfo–to extend from the richest to the poorest segments of the population. After stepping down in 1924 to make way for another former general, Plutarco Calles, Obregón is reelected in 1928, but is killed this same year by a religious fanatic. Lázaro Cárdenas, another former revolutionary general, is elected president. He revives the revolutionary-era social revolution and carries out an extensive series of agrarian reforms, distributing nearly twice as much land to peasants as had all of his predecessors combined. In 1938, Cárdenas nationalizes the country’s oil industry, expropriating the extensive properties of foreign-own companies and creating a government agency to administer the oil industry. He remains an influential figure in government throughout the next three decades. Elected in 1940, Cárdenas’ more conservative successor, Manual Ávila Camacho, forges a friendlier relationship with the U.S., which leads Mexico to declare war on the Axis powers after the Japanese bombing of Pearl Harbor. 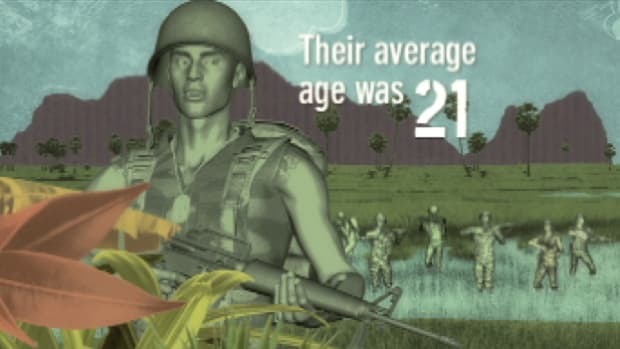 During World War II, Mexican pilots fight against Japanese forces in the Philippines, serving alongside the U.S. Air Force. In 1944, Mexico agrees to pay U.S. oil companies $24 million, plus interest, for properties expropriated in 1938. The following year, Mexico joins the newly created United Nations. Miguel Alemán becomes the first civilian president of Mexico since Francisco Madero in 1911. In the post-World War II years, Mexico undergoes great industrial and economic growth, even as the gap continues to grow between the richest and poorest segments of the population. The ruling government party, founded in 1929, is renamed the Partido Revolucionario Institucional (PRI), and will continue its dominance for the next 50 years. As a symbol of its growing international status, Mexico City is chosen to host the Olympic Games. Over the course of the year, student protesters stage a number of demonstrations in an attempt to draw international attention to what they see as a lack of social justice and democracy in Mexico under the PRI government and its current president, Gustavo Díaz Ordaz. On October 2, ten days before the Games were to open, Mexican security forces and military troops surround a demonstration at the historic Tlatelolco Plaza and open fire. Though the resulting death and injury toll is concealed by the Mexican government (and their allies in Washington), at least 100 people are killed and many others wounded. The Games go ahead as planned. 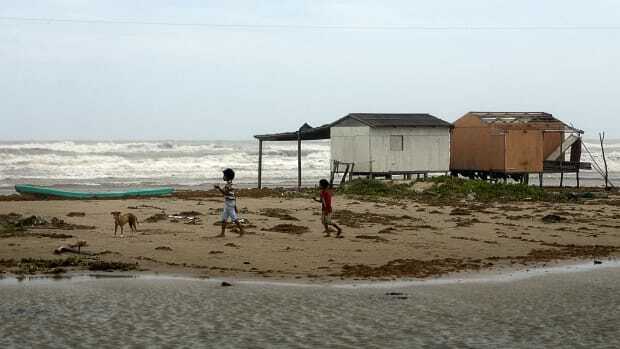 Huge oil reserves are discovered in the Bay of Campeche, off the shores of the states of Campeche, Tabasco and Veracruz, at the southernmost end of the Gulf of Mexico. The Cantarell oil field established there becomes one of the largest in the world, producing more than 1 million barrels per day by 1981. Jose López Portillo, elected in 1976, promises to use the oil money to fund a campaign of industrial expansion, social welfare and high-yield agriculture. To do this, his government borrows huge sums of foreign money at high interest rates, only to discover that the oil is generally of low grade. These policies leave Mexico with the world’s largest foreign debt. By the mid-1980s, Mexico is in financial crisis. 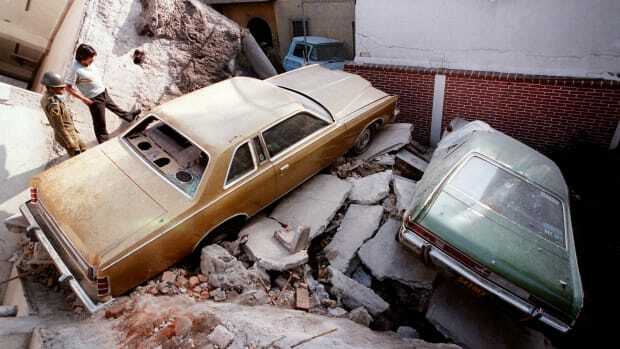 On September 19, 1985, an earthquake in Mexico City kills nearly 10,000 people and causes heavy damage. The displaced residents, dissatisfied with the government’s response to their situation, form grassroots organizations that will blossom into a full-fledged human rights and civic action movement during the late 1980s and 1990s. The country’s problems are exacerbated by continuing accusations of electoral fraud against the PRI and the devastation caused in the Yucatán by a massive hurricane in 1988. President Carlos Salinas joins George H.W. Bush of the U.S. and Prime Minister Brian Mulroney of Canada in signing the North American Free Trade Agreement (NAFTA), which goes into effect January 1, 1994. The agreement calls for a phasing out of the longstanding trade barriers between the three nations. Salinas pushes it through over the opposition of the media and the academic communities and of the leftist Partido Revolucionario Democrático (PRD), which begins to win growing support among the electorate. Salinas’ government is plagued by accusations of corruption, and in 1995 the former president is forced into exile. The latest PRI candidate, Ernesto Zedillo Ponce de Leon, is elected president and immediately faces a banking crisis when the value of the Mexican peso plunges on international markets. The United States loans Mexico $20 billion, which, along with a plan of economic austerity, helps stabilize its currency. The corruption-plagued PRI suffers a shocking defeat, losing the mayoralty of Mexico City (also known as the Distrito Federal, or DF) to PRD candidate Cuauhtémoc Cárdenas, son of former president Lázaro Cárdenas, by an overwhelming margin. Vicente Fox, of the opposition Partido de Acción Nacional (PAN) wins election to the Mexican presidency, ending more than 70 years of PRI rule. Parliamentary elections also see the PAN emerge victorious, beating the PRI by a slight margin. A former Coca-Cola executive, Fox enters office as a conservative reformer, focusing his early efforts on improving trade relations with the United States, calming civil unrest in areas such as Chiapas and reducing corruption, crime and drug trafficking. 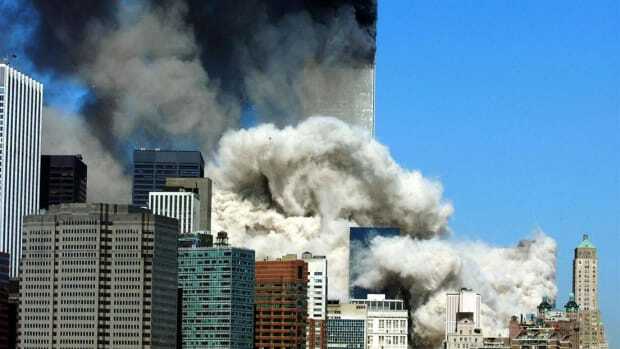 Fox also strives to improve the status of millions of illegal Mexican immigrants living in the United States, but his efforts stall after the terrorist attacks of September 11, 2001. With reforms slowing and his opponents gaining ground, Fox also faces large-scale protests by farmers frustrated with the inequalities of the NAFTA system. In the July presidential election, the PAN’s Felipe Calderón apparently wins by less than one percentage point over the PRD’s Andrés Manual López Obrador, with the PRI in third place. With the country strongly divided along class lines–López Obrador aims to represent Mexico’s poor, while Calderón promises to continue the country’s business and technological development–López Obrador and his supporters reject the results as fraudulent and stage mass protests. On September 5, a federal elections board officially declares Calderón the winner. He is inaugurated in December, as more than 100,000 protesters in Mexico City–in addition to PRD legislators–rally around López Obrador, who refuses to concede defeat. In his first months in office, Calderón moves away from the pro-business, free-trade promises of his campaign, expressing his desire to address some of the issues of poverty and social injustice championed by the PRD.